Anyways, in May my sorority had a Stella & Dot party, and I was looking forward to seeing many of the pieces in person and hopefully finding something that I would be able to wear. Then I found the Petra Braided Bracelet, and it became my new BFF. This bracelet really does go with so much. I've worn it with a grey t-shirt and denim cutoffs to a family picnic, and I've worn it with a LBD and this wine-coloured cardigan to work. Since then, I've been to a few other Stella & Dot parties, and I promised Marlene I would host one before the holidays. She came over last Sunday and turned my living room into a full-fledged boutique. I am so in love with so many pieces of their collection, and better yet - every necklace and pair of earrings I've bought so far hasn't irritated my skin. What I love most about their pieces is that most of them can be worn more than one way depending on your outfit. It was so fun to spend some time with friends and gush over the beautiful jewellery and bags on display. To quote one of my friends, "mmmmm... pretty things." I've also been thinking about using my hostess credit to get the rebel pendant and these sparkly earrings for the holidays. And pearls are always a great addition to any wardrobe. 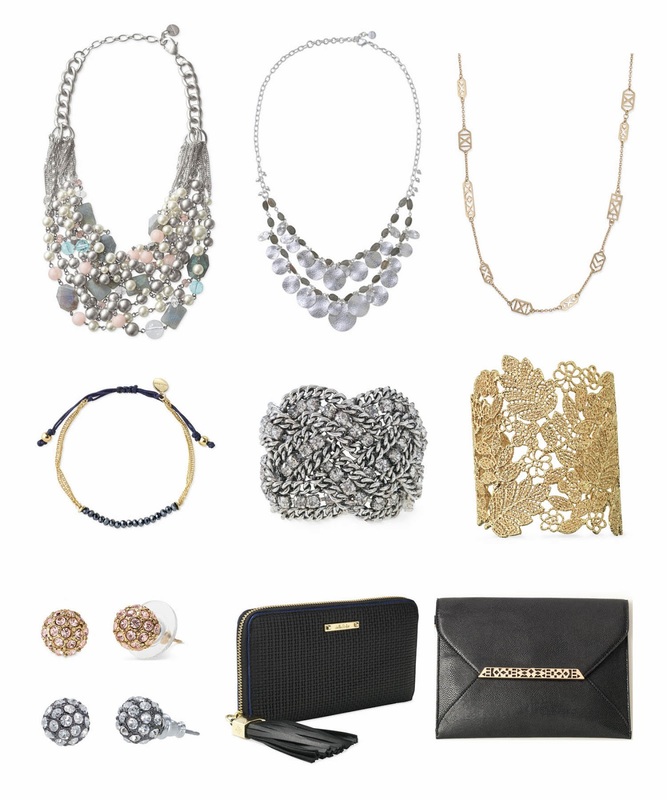 If you're interested in more, check out Marlene's stylist link here and her Stella & Dot FB page here. And because shopping is always better with friends, my friend Nicole is also stylist with a link here. Nicole also has a Stella & Dot FB page here.